There are such conditions in which L/C that, bank will recognized to the bill only then when various documents like insurance policy, bill of lading, invoice etc will be placed with the bill is called documentary L/C. There are no such conditions of various documents will be attached with the bill and bank pay the bill of which L/C is called clean L/C. In which L/C bank gives an assurance and confirmation of recognizing the bill of exporter is called confirmed L/C. Bank can't cancel such letter of credit before expired of due date. In which L/C if bank gives an assurance and confirmation of recognizing the bill of exporter and can cancel such letter of credit before expired of due date is called unconfirmed L/C. The L/C which is opened for specified amount of money in a particular time period and is considered as void after a fixed duration, is called fixed L/C. After payment of a bill of specific amount, the mechanism of such L/C is automatically finished. A L/C opened for a total amount up to which bills drawn may remain outstanding at a time is known as revolving L/C. The issuing bank can cancel which L/C in any time is called Open / Revocable L/C. Moreover bank is bound to give recognition of if the bill is prepared and placed before dismissing the bill. The issuing bank can't cancel which L/C in any time even at the death and insolvency of client, is called irrevocable L/C. The bill form is available on the margin side of which L/C is called marginal L/C. Filling up the bill form, it is placed on the bank for recognition. i) Red Cause Anticipatory L/C. ii) Green Caused Anticipatory L/C. By which L/C, bank manage the advance payment of shipment costs, insurance, customs, carrying cost of products to exporters is called Red Cause Anticipatory L/C. Such L/C is written with red coloured ink or paper. By which L/C, bank manage the advance payment of warehouse costs of products to exporters is called green cause anticipatory L/C. Such L/C is written with green coloured ink or paper. Travellers Letter of Credit is a L/C which a bank issues travellers for the convenience of the persons who want to travel with in the country or abroad. It is two types. I) Direct Letter of Credit ii) Circular Letter of Credit. 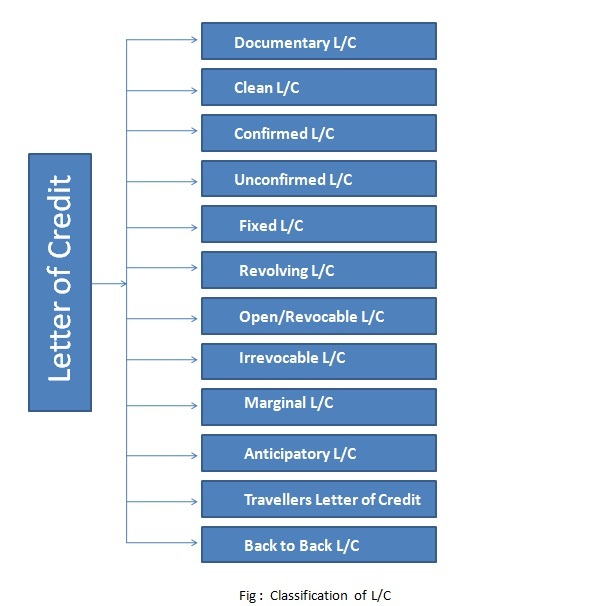 Agreement in which one unavoidable letter of acknowledge serves as the insurance for another; the educating bank concerning the first letter of credit turns into the issuing bank of the second letter of credit. As opposed to a transferable letter of credit, authorization of a definitive purchaser (the candidate or record gathering of the first letter of credit) or that of the issuing bank, is not needed in a back to letter of credit. It is utilized mainly by middle people to shroud the personality of the genuine supplier or maker. It is also called counter credit or complementary letter of credit. 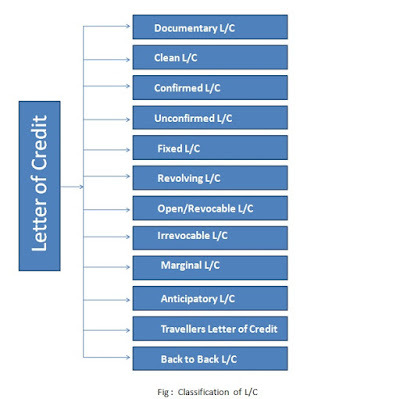 Letter of credit is the basic title of this blog and this is a good and perfect title. These types of blogs are always good for the https://topamericanwriters.com/essaypro-com-review/ development. I just like this blog so much because this is a creative and real blog for all the readers and writers.